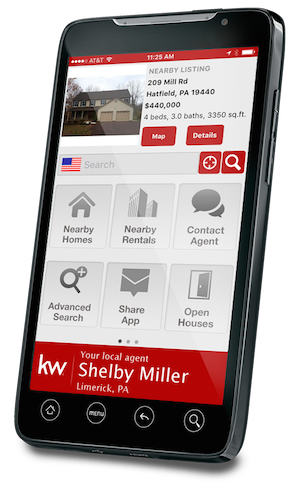 The Only Mobile App You Need For Real Estate In Quakertown & The Surrounding Bucks, Montgomery and Lehigh County Area! Have you ever driven by a home that was for sale and wondered what it was like inside, or how much the asking price was? Now you can view that home instantly by clicking just a few buttons on your phone. Download the mobile app and you will be given instant access to local homes for sale, rentals, and even open houses based off your current location. You can even perform a specific area property search. Just click the link below from your mobile phone, or scan this QR code and you will be taken right to my mobile app. Dowload it today, it’s FREE, and you’ll be one step closer to finding your dream home!